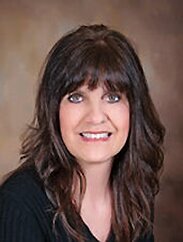 Lori has over 30 years of mortgage lending experience. She has held different positions and has found that Loan Processing is what she most enjoys. She works very closely and courteously with her clients to ensure they close their loan on time! She is approaching 8 years total time at RMC. Lori grew up in an Air Force family, traveling to and living in many places until her father received orders to Pope AFB, NC. The family finally was able to put down roots and made Fayetteville NC their home. Lori’s husband is a retired, 23-year Army veteran and she has 2 grown children, Christopher and Savannah and one granddaughter, Ayla. She enjoys flying with her husband, time at the beach and is an avid Georgia Bulldogs and Atlanta Braves fan. "Lori Howard and Frank Zwan were amazing!!!!! Couldn’t have asked for a better team! Thank you for making our dream come true!" "The entire team was responsive with everything I inquired about. Thanks to Jennifer and Lori!!!! Happy Holidays!!"